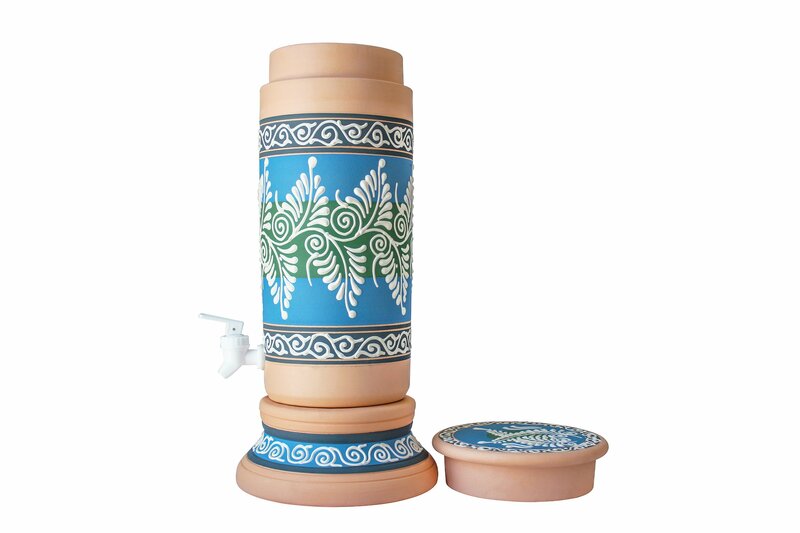 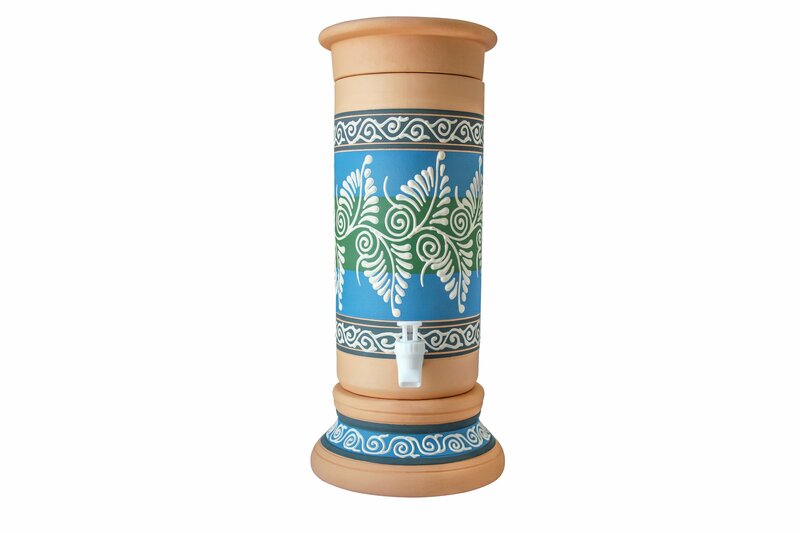 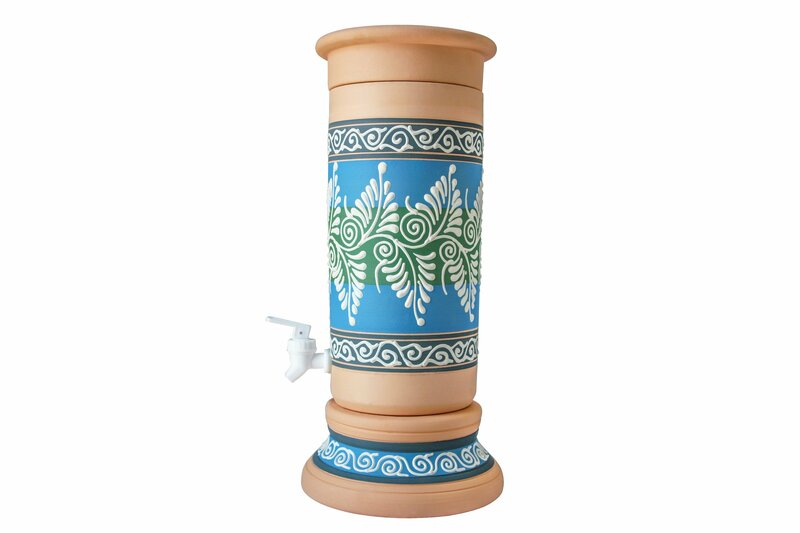 This beautiful clay drinking water dispenser is made from PREMIUM GRADE CLAY & 100% natural sources. It is HAND-CRAFTED and EMBOSSED with traditional motifs which will definitely add charm to your home and impress your visitors. 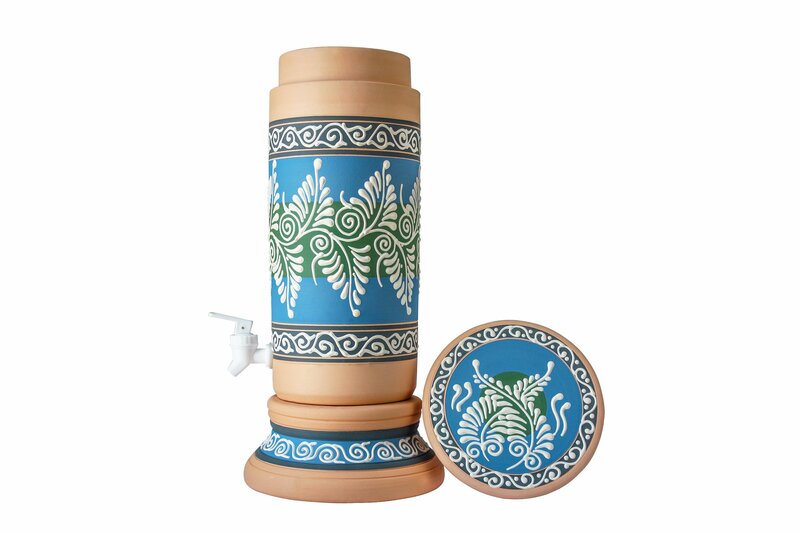 It is made with precision resulting in a high-quality finish. Its natural sphere shape design allows for natural water circulation and enhances the QUALITY OF DRINKING WATER. 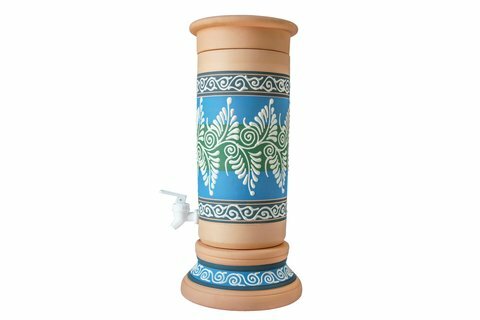 Alter your tap water into MINERALIZED ALKALINE drinking water and keep it COOL NATURALLY with this beautiful clay drinking water dispenser. The best drinking water your family can ever have!